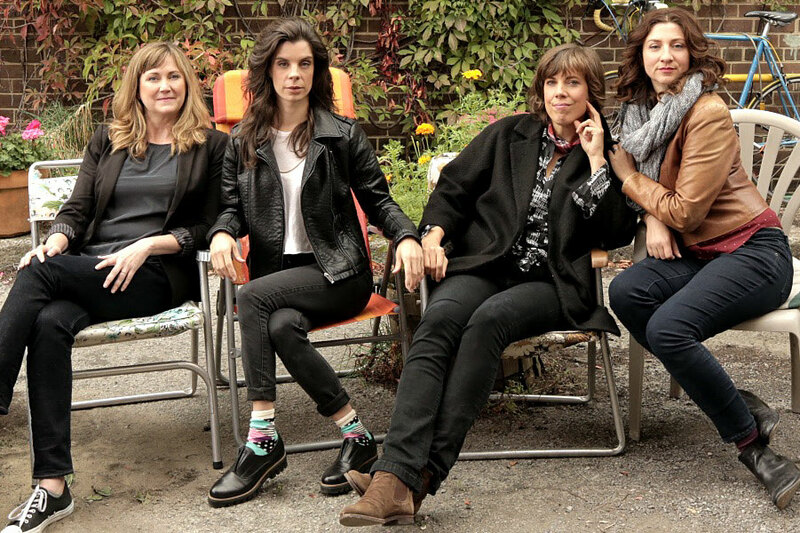 I was intrigued when I discovered that CBC was airing a new all-female sketch show with the amusing/informative title of Baroness von Sketch Show… and then I got properly excited when I realised that one of the aforementioned females was Meredith MacNeill! Hurrah! I wasn’t quite as familiar with her collaborators/co-creators Jennifer Whalen, Carolyn Taylor, and Aurora Browne, but between them they have a lengthy list of acting/writing credits, including such award-winning Canadian comedies as This Hour Has 22 Minutes and Corner Gas. P.S. Apparently since I last checked her IMDb profile, MacNeill scored a lead role in a home-invasion-gone-wrong rom-com called Your Money or Your Wife (2015), which earned her an “Outstanding Performance” Award at the Atlantic Film Festival… so snaps to her for that! This entry was posted in Rants about Films, Rants about TV and tagged Aurora Browne, Baroness von Sketch Show, Carolyn Taylor, Jennifer Whalen, Meredith MacNeill, Your Money or Your Wife. Bookmark the permalink.